BRYAN EATON/Staff photo. BRYAN EATON/Staff photo. 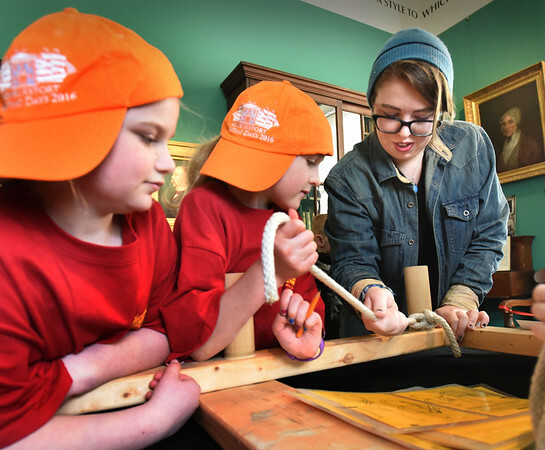 The Custom House Maritime Museum hosted Family Fun Days for school vacation week with hands-on activities and lessons in some history. At the knot-tying table working on a running bowline are, from left, Emma Burkhardt, 7, Abby Orem, 8, and Beth McDougall all from the Pottery Isle camp.